Stop Working Those 80 Hour Weeks. Get To Know Your Family Again. Get Some FUN and FREE TIME Into Your Life. What I can teach you is not difficult to learn. 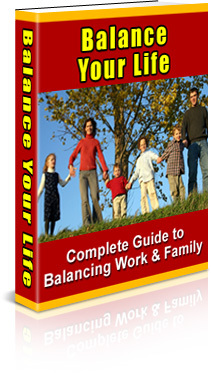 'Balance Your Life – The Complete Guide to Managing Work and Family' is a step-by-step guide that will teach you how to take control of your life. How to better manage your time and take advantage of the time you have to get things done.